How about we start this section off with a cute happy birthday poem for mom? Our mothers are extremely loving and caring individuals, who would do anything for us. The least we could do is make our moms smile with joy. They do so much for us throughout the year, by always being there for us. With the following verses, each of us has an opportunity to thank that special lady in our lives, who has raised us, and has loved us from day one. You don't need to spend a lot of money. 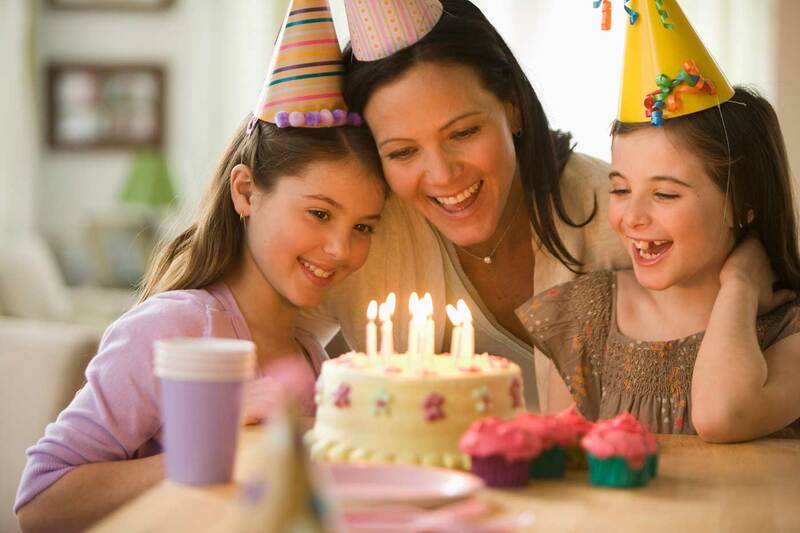 Instead you could use your creativity and create a wonderful celebration that focuses on your mom. my heart I shall give. you've taught me to live. and deserve lots of rest. may your day be real kind. is for your happiness to last. that we shared in the past. and I mean this sincerely. That was meant to be a simple poem for mom which talks about wishing her happiness on her birthday and beyond. Personally, I think that's among the most sincerest things we could say to our moms. That we love them and we want them to be happy. Here's a nice little birthday card poem that you may want to share with your wonderful mom on her birthday. Hope she likes it. It will be a very nice/unique addition to that sweet greeting card. who I love and I care. and I'm so happy to spend. with my mother and friend. she's the focus on stage. for her birthday this year. with hugs that are dear. I'm sure that any mom would love to receive a sentimental birthday poem like the one above. I'm thinking of sharing it with my mom on her birthday next January. This next verse is a funny birthday poem for mom that is intended to make your mom smile and laugh. shall drop his old head. there's no need to spread. so let's forfeit the gloom. go pick up a broom. not a book, nor a toy. or you may actually attack. Just please make sure your mom has a very good sense of humour if you decide to share this verse with her. Most mothers and their daughters share a very special relationship. The next poem is an attempt to express that special bond they share and may be given to any mom from her daughter. I'm so happy to say. I'm much more than glad. I hope dearly for you. and shall always be true. At the park that I jog at, I often see mothers and their daughters walking and chatting. It seems like they always have something to talk about. They share advice and are completely open with one another. That just reinforces the strength of their relationships. This birthday poem may be given to a mother by her loving son. When I was brainstorming the ideas for this poem I simply thought of a few things that I would personally like to say to my mom on her birthday. I'm not sure if I deserve. when your heart I observe. as we celebrate your birth. we share time on this earth. This last one was a bit shorter than the previous ones, but I still hope it's just as effective. Honestly, I can't wait to share it with my mom. However, I may need to switch up the last verse if I want to give it to her prior to her birthday (on a random day). This last birthday poem is for a deceased mother. It wasn't easy to write at all. I did get a bit emotional. down from heaven on me. I'm sure you can see. and I don't want to cry. it's still hard to say bye. are clear in my mind. my heart you still touch. I hope you had a good time reading these birthday poems for moms, and feel free to share any one of them with your precious mother.